Yesterday was one of those gorgeous spring days. It’s chilly in the shade but the sunshine is oh, so lovely. Ethan was definitely feeling better than he did on Wednesday and, after a lunch of Lipton’s Chicken Noodle Soup and a hot dog, he decided to play outside… with my camera. Hmm… it seems this week has two Wednesdays. That is, at least, what Weather Canada seems to forecast. 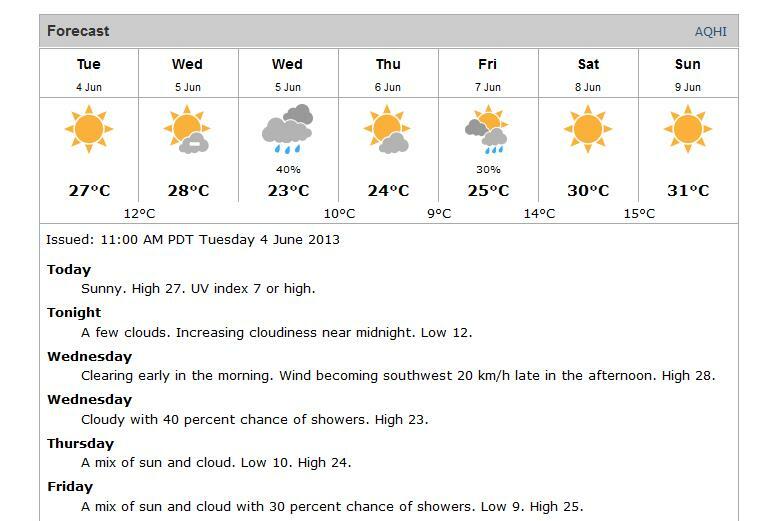 Screen shot was taken from the Weather Canada website this morning. This is the second time John’s noticed a glitch. We had a seven day forecast that didn’t have a Sunday earlier last month. On the other hand, we have some decent weather coming up!